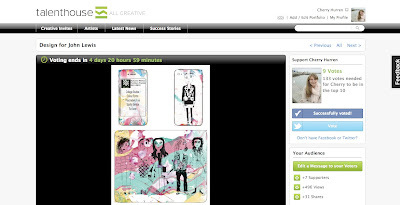 Vote for my John Lewis Design, talenthouse competition. I designed a case for an iPhone and iPad to be sold in John Lewis. 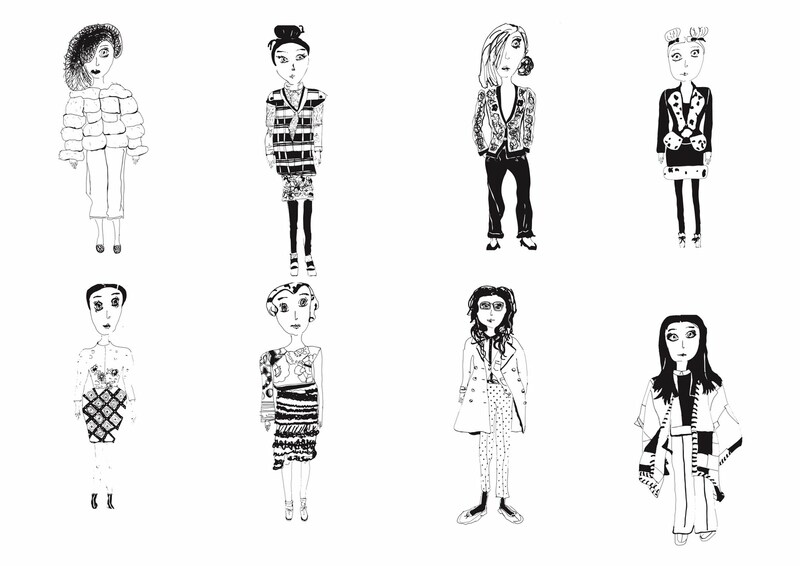 My idea is ‘Trend Girls’, illustrations of the big fashion trends of autumn winter 2011/2012. 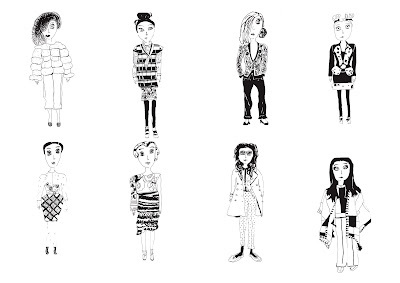 The Illustrations are black fine line pen. I have created the marble ink paint backgrounds, using the key colours of autumn winter. My idea focuses on the case designs combined with an app. To have an app developed called John Lewis Fashion Trends for the I phone and I pad. The app would show each illustration and trend description. 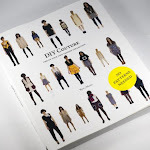 To go with each trend there would be product shots of suggested key pieces from John Lewis. The items could then be touched on, which would be linked up to the website to buy online. 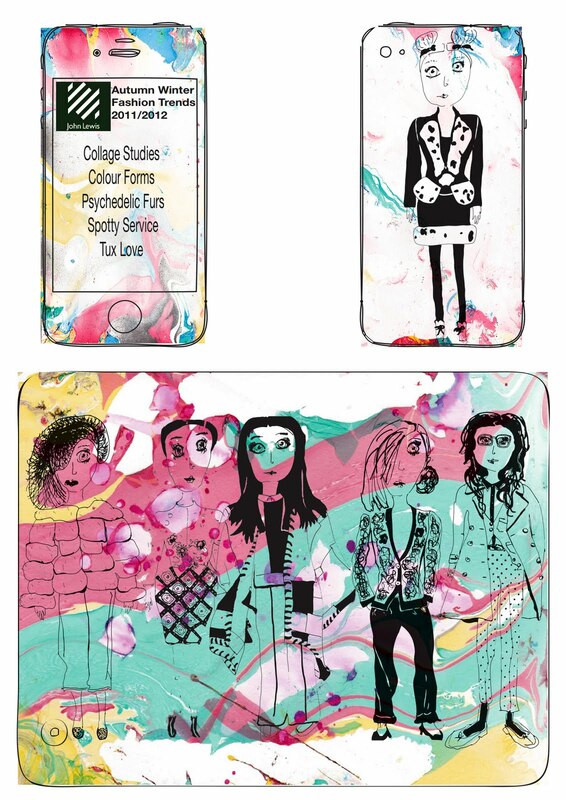 The case designs and app, would appeal to a younger generation of customers who are enjoy fashion and technology.